Credit scores play an important role in today’s lending environment. Credit scores can be complicated to understand and can be a mystery to most people. With access to a variety of new resources, consumers are now more empowered than ever to better understand, actively manage, and protect their personal credit reputation. You can obtain a free copy of your credit report at www.annualcreditreport.com. Credit scores are often called “FICO scores” because most credit scores are produced from software based on a model developed by Fair Isaac and Company (“FICO”). 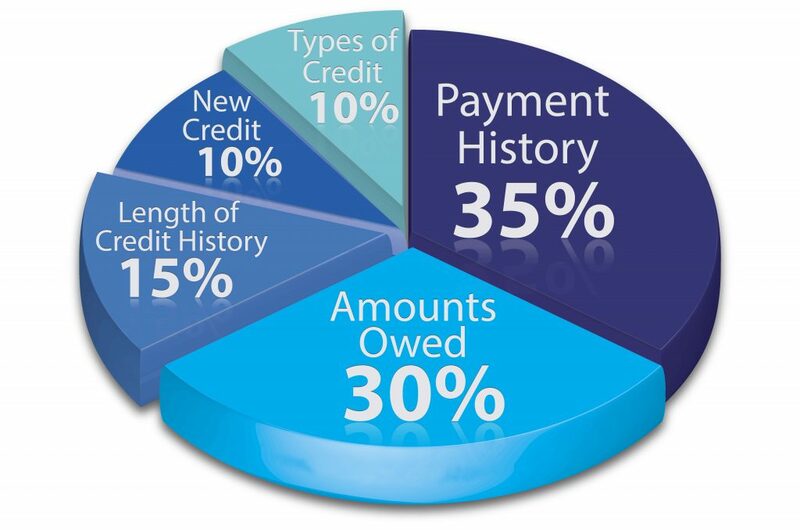 A FICO score generally ranges from 300 to 850 with a higher score indicating a lower credit risk. Your FICO score is calculated based on data collected from many sources that give an overall picture of how an individual handles their credit. The following are a few of the factors that will most strongly impact your credit score and their relative importance. Credit History – When you pay off a debt or collection account, or close an account, the credit reference will remain on your credit report for a minimum of seven years. Make sure the information in your credit report is correct. You are entitled to one free credit report annually from the three credit bureaus – Experian, TransUnion, and Equifax. You can obtain a free copy of your credit report at www.annualcreditreport.com.